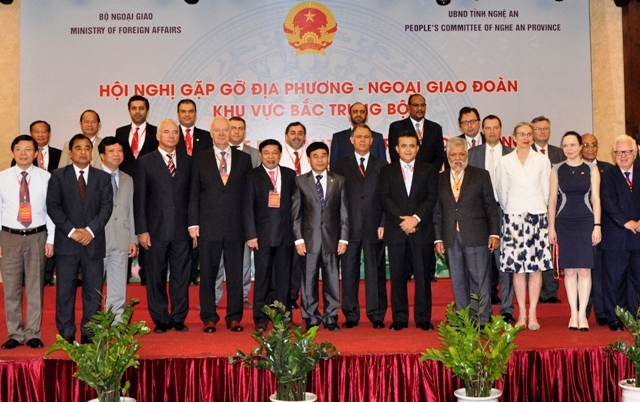 From 28th to 30th May 2015, Ambassador Saadi Salama attended the "Meeting between the diplomatic corps and provinces 2015" in Vinh City, Nghe An Province, which was co-organized by the Ministry of Foreign Affairs of Vietnam and the Provincial People's Committee of Nghe An. 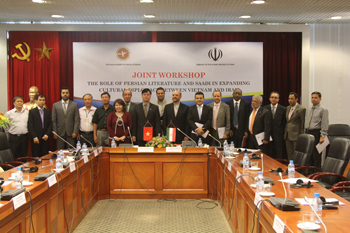 Hanoi – On Wednesday 27th May 2015, Ambassador Saadi Salama attended the workshop about Persian literature and Great poet Saadi, which was co-organized by the Vietnam Academy of Social Sciences (VASS) and the Iranian Embassy in Vietnam. 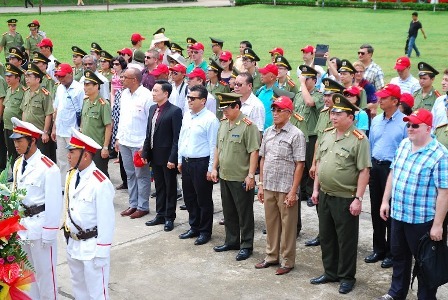 In commemoration of the 70th anniversary of the Traditional Day of the People's Public Security of Vietnam, the External Relations Department of the Ministry of Public Security of Vietnam invited representatives of diplomatic missions and foreign police and security agencies in Vietnam to visit historical sites in Tuyen Quang on Saturday, the 23rd of May, 2015. 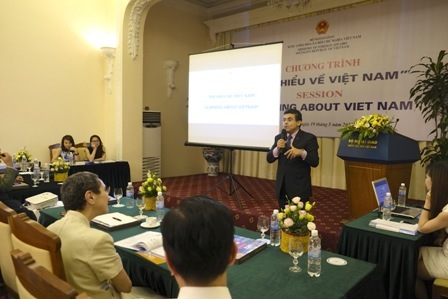 Hanoi – On May 19th, Palestinian Ambassador Saadi Salama joined the “Learning about Viet Nam” Session organized by the Ministry of Foreign Affairs of Vietnam with the aim of meeting the needs of understanding more about Vietnam of new members of the Diplomatic Corps in Hanoi. 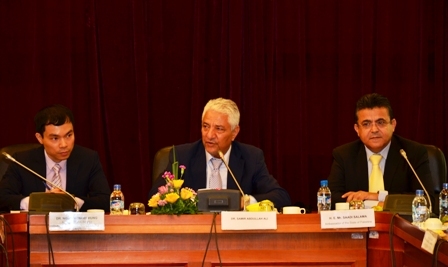 The event brought together approximately 60 representatives including ambassadors, chargé d’affaires and head of mission from embassies and diplomatic representative agencies in Hanoi. Hanoi - On Friday 8th May 2015, the Embassy of the State of Palestine in Hanoi and the Institute for Africa and Middle East Studies (IAMES) of the Vietnam Academy of Social Sciences co-organized a roundtable discussion entitled “The repercussions of the Arab Spring on the Political and Economic Situation in the Middle East”.